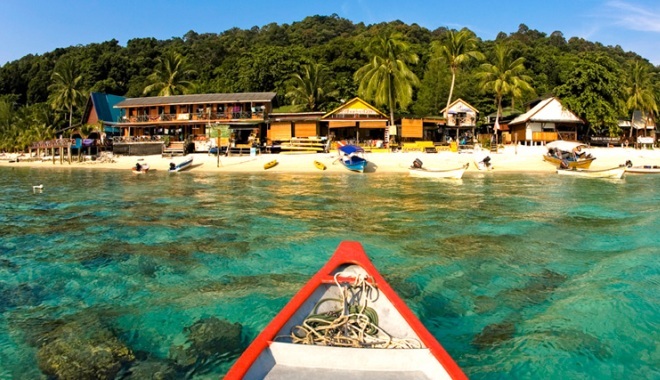 This itinerary comprises of a 6 days 5 nights tour to the serene beaches and seaside paradise of Langkawi and Koh Lipe. Enjoy the sun, sand and breeze, leave your footprints in the sand and watch the alluring sunset as you leave the hustle and the bustle of the city behind. Take a breather and relax under the warm rays of the tropical sun and take a dip in the cooling azure ocean. Visit one tropical island to another and experience nature’s beauty like never before. This is truly a tropical destination you do not want to miss. 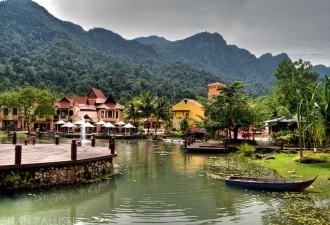 Arrive Pulau Langkawi in the early morning and proceed for a transfer to your hotel for check in and free and easy. In the afternoon, head on over to Burau Bay and visit the Oriental Village. This mall, the largest in the northern part of Malaysia is managed by the Langkawi Development Authority (LADA) and offers plenty of eateries, souveniers and retails shops, galleries, spas and other facilities. Visitors can enjoy great bargains, as well as partake in the various activities they have to offer. After that, head on over to the foothill of the famous Mount Matchinchang for the highly acclaimed cable car ride. Peaking over the island at 850 metres, it is the second highest island on the plateau. 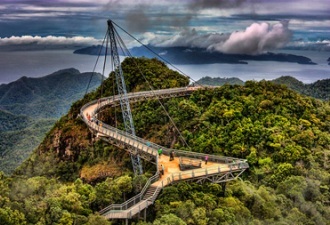 The cable car stations are constructed at 709 metres above sea level, where one can take in the breathtaking views of the island – from the vast greenery and lush forests, to the rugged mountainside of the Southern Thai border. Immerse in the fantastic sights and wonder as the ride takes you across several stations offering serene sights, each more picturesque than the last. Once the day’s tour ends, head back to Cenang Beach for an afternoon of watersport fun – try your hand on parasailing or banana boat, or just laze under the warm tropical sun for a moment’s relaxation. At dusk, gather for a delectable dinner at any of the available eateries and sumptuous restaurants around the beach, and enjoy the view while you indulge in the pleasures of food. After dinner, head back to the hotel for a good night’s rest. The next morning, wake up to a sumptuous breakfast before heading out to Pantai Cenang for a boat tour to Kilim Nature Park. The boat proceed to the Kilim Nature Park for the mangrove tour, offering some of the most remarkable sights in Pulau Langkawi. The park is spread over a large 100 sq km area and features an alluring mix of protected green mangrove forests, isolated white sandy beaches and azure blue lagoons. As the boat cruises downstream, one can explore the myriad of wildlife and plant types along the way, including the Bogak Tree, macaques, tree crabs, brown eagles and monitor lizards. The picturesque river also offers some of the most breatktaking limestone formations that emerge from the swamp bed, giving birth to geological wonders. 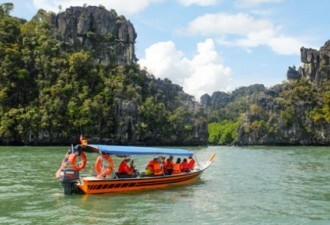 One can also visit the Gua Kelawar, or bat cave, as well as the farming of fish in the various locations around the sea. After lunch, head over to the Lagenda Park for a morning of fun and entertainment. Featuring a breathtaking open-air ‘garden museum’, the park houses 17 vividly painted statues that resemble mythical creatures of ancient Langkawi folklore spread across the 50-hectare garden compound. These are a wonderful depiction of the local fairy tales, including giants, mythical birds, ogres and princesses that make up the history of the land. Take photos at various locations and immerse in the air of mysticism and be transported back to the olden days. Head over to the famous landmark – Eagle Square or Dataran lang as the locals call it. The main highlight is the manmade sculture of a gigantic 12 metre eagle about to take flight – which originates from two ancient Malay words – ‘helang’ (eagle) and ‘kawi‘ (reddish brown) , alongside a host of beautiful miniature fountains, bridges, and terraces of modern architecture. As it is situated along the harbour, kick back and relax as you watch the ships slowly sail by. Then, it’s back to Kuah Town for more shopping options. 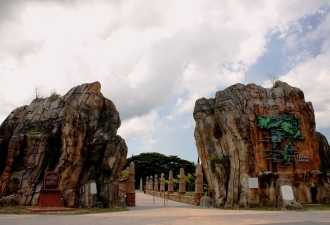 You will find that Langkawi’s status as a duty free port plays a big role in favour of its tourists – as duty free shops can be found lined row after row – in which you can help yourself to fantastic bargains for chocolates, alcohol and other duty free goods. Proceed for dinner after a day’s shopping, and head back to the hotel for a good night’s rest. After a sumptuous breakfast, proceed to the Telaga Harbour Jetty for a speed boat transfer to Koh Lipe. Along the way, be greeted by the swaying of the beach palm trees and the distinct whiff of the ocean breeze, as the tour proceeds to the jetty for a ferry ride towards the Thai Border and into the island paradise of Koh Lipe. A true jewel in the region, the Island is known as the Paper Island, and is one of the many islands located within the Tarutao National Marine Park. Flocks of visitors visit the island’s throng of white, sandy beaches and clear blue waters every year. The entire stretch of the island consists of various parts, starting from the busy and vibrant Pattaya Beach; to the Sunrise Beach, which as the name suggests, faces the sunrise; Karma Beach, which faces Koh Adang, and the popular Walking Street which is filled to the brim with hotels, lodges and a selection of shops and stores. Upon arrival, check in to the hotel and have the rest of the day for free-and-easy. Take a brisk walk around the hotel grounds, or enjoy the various facilities offered. Hang out by the pool or sip a nice glass of juice by the bar, or head out to the streets for a quick look at the lifestyle of the local people, as well as explore the many shops along the way. Walk along the beachfront and admire the pristine ocean that reaches far into the unknown, with the clear blue skies and its painted clouds rolling over the magical island. In the evening, head over to Sunset Beach for a leisurely stroll, and watch as the sun sets at a slow pace, casing a shadow of orange, and red and yellow that glimmers to every corner of the island, filling the air with passion and romance. At dawn, rise and shine to a brand new day in paradise. After a wholesome breakfast and a satisfying night’s rest, change into swim gear and head out towards the beach once more. Be greeted by a guide and proceed to enjoy the various water sport activities offered n the island, including banana boat, jet ski, snorkelling and more. Put on your gears and dip into the sparkling waters, and feel the ocean dance around you in anticipation. Dive in and see the breathtaking beauty of the underwater world, and its playful inhabitants that swim around you. Pay attention and one could see the various types of marine life that dwell within the beautiful live corals – juvenile batfish, unicornfish, golden damselfish and many more. One can also opt to laze along the Sunset Beach, and make footprints in the sand, while basking under the warm tropical sun with a good book in hand. Feel the hypnotic sound of the waves hitting the shore, and the gentle breeze caress your cheeks. Lay under the warm rays of sunlight for a good tanning. In the evening, head over to one of the many massage parlours and spa outlets in Walking Street, and be pampered to an evening of pure relaxation. Feel the pain and aches of the muscles fade away in the masseuse’s loving hands. After dinner, head back to the hotel for a good night’s rest. 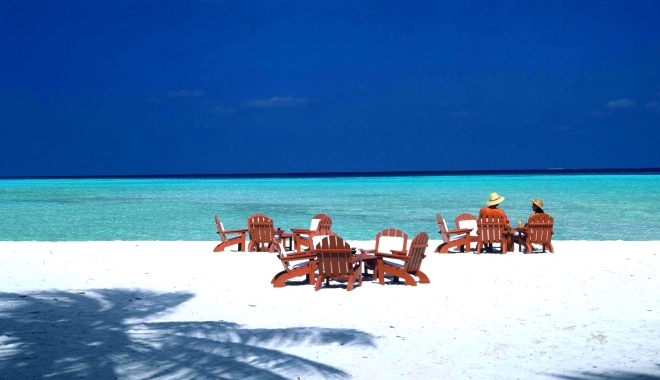 After a hearty breakfast, proceed to several island destinations around Koh Lipe. Get on board the next boat and embark on a journey of adventure and exhilarating fun. Feel the wind in your hair as the vassal hits top speeds, sending water, wind and waves up and around you. Be in for a bumpy ride and see the sunlight reflect upon the glittering ocean. The first island is Koh Rawi and Koh Tong, two large islands surrounded by a host of rocks, towering steep cliffs, white sandy beaches and azure seas that offers the serenity of peace. It is also here that one can find various trails and forest treks along the Talopalian Bay and Leuk Bay. Dive in for a session of snorkelling and see the fishes at play. Then, head on over to Koh Adang, the second largest island within the National Park to scale the jungle trek to its peak. The island has lesser beaches than its sister islands, but an abundance of coral reefs around the unchartered little oasis. Towering at 690 metres above sea level, one can take the many available trails and trek uphill, and marvel at the beauty of nature along the way. At its peak, gaze upon the breathtaking scenery off the Chado Cliffs, which features stunning sights of the neighbouring islands of Koh Lipe. Then, along the trek one can also find the Pirate Falls, in which legend has it that pirate of old days would hide their loot among the huge boulders. After a long day of adventuring, head back to the hotel for a good night’s rest. After a wholesome breakfast, pack up your belongings and head on back to the jetty for a ferry transfer back to Pulau Langkawi. Remember to being aling the smiles, memories and photos from the beautiful paradise landmarks, as the tour comes to an end. Head over to the airport for a connecting flight home. Nice resort with breathtaking beach and surrounding. Fantastic sea view direct from bungalow, suitable for family vacation and honeymoon.